Hi Ana, I would like to comment on your dealing with my home which is for sale, I find your attitude and professionalism very good, also I have every confidence that you are doing everything possible to promote a sale and hopefully you will achieve this. As a person I appreciate the care that you take with dealing with me at what is a stressful time. So good luck and I have every confidence in you. Kind regards. Hi Ana. I would like to say how impressed I am with the efficiency and energy you use in regard to acquiring clients to be interested in our property and with arranging suitable viewings. Thank you for all your efforts in the past and for the future. Regards. Dear Ana, Many thanks for your amazing service on a number of properties for me. You always go the extra mile, which not all estate agents do. Your level of service is second to none, and I would gladly recommend your company to anyone looking to sell or buy a property. Thanks again for everything. Hi Ana, You are the only agent to send any feedback at all and we must let you know how much it is appreciated. Thank you again. Hi Ana, We would like to take the opportunity to thank you for the excellent job you did and for making the experience of moving to Spain and renting the property a pleasurable one. We were impressed on how accurate your details and pictures were on your website and how your professionalism, experience and support was first class throughout the whole process. We would have no hesitation recommending you to friends, relatives and colleagues. 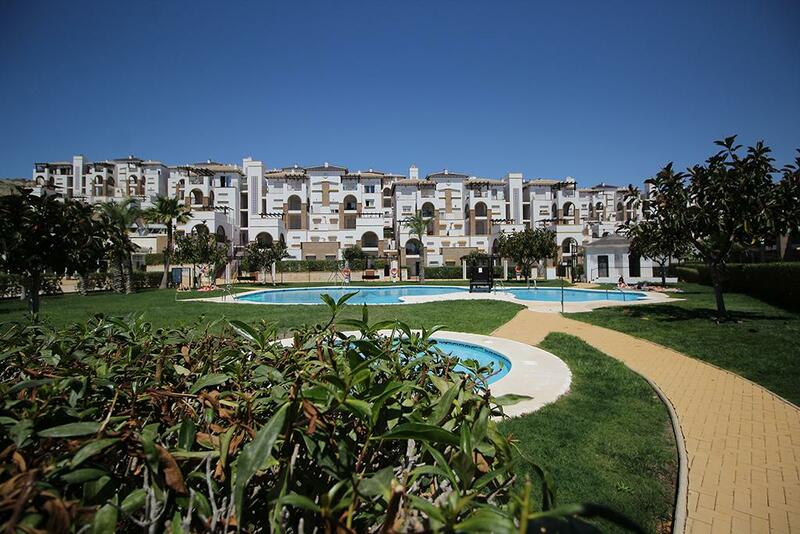 Thanks again for all your help in obtaining our first property in Spain. Ana has been our landlady at two rental properties over the last two years and during that time she has always been responsive to any requests we have had regarding maintenance / replacement issues at the rental properties we have stayed in. She responds in a timely way and has always sorted out any issues which have arisen with both utilities and maintenance. Ana's Spanish and English are excellent and she is both professional and approachable. We would have no hesitation in recommending her services. I first approached Ana to find a long-term tenant for my villa towards the end of 2012. 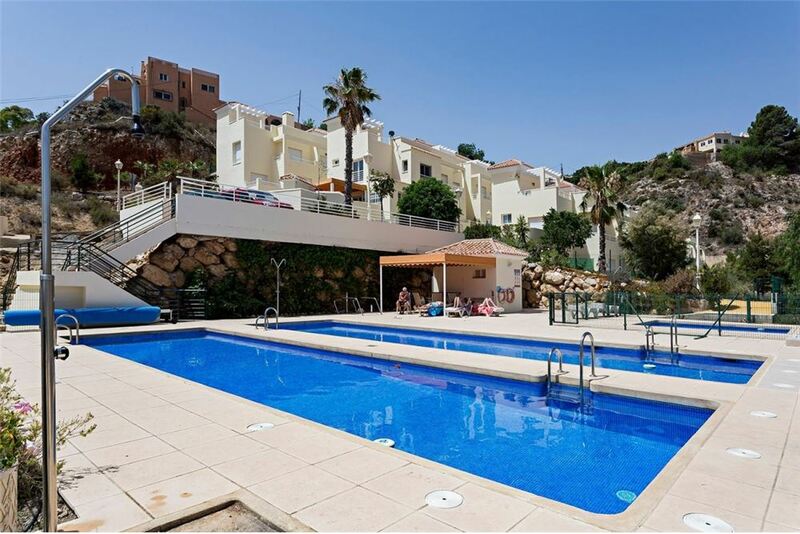 Ana expedited this with consummate professionalism, locating a suitable, and successful tenancy in a matter of weeks. She always kept me in the loop regarding anything that I needed to be aware of (I now live back in England) such as pipe blockages and air-con unit issues and ensured all bills were paid on time from the rental monies received. 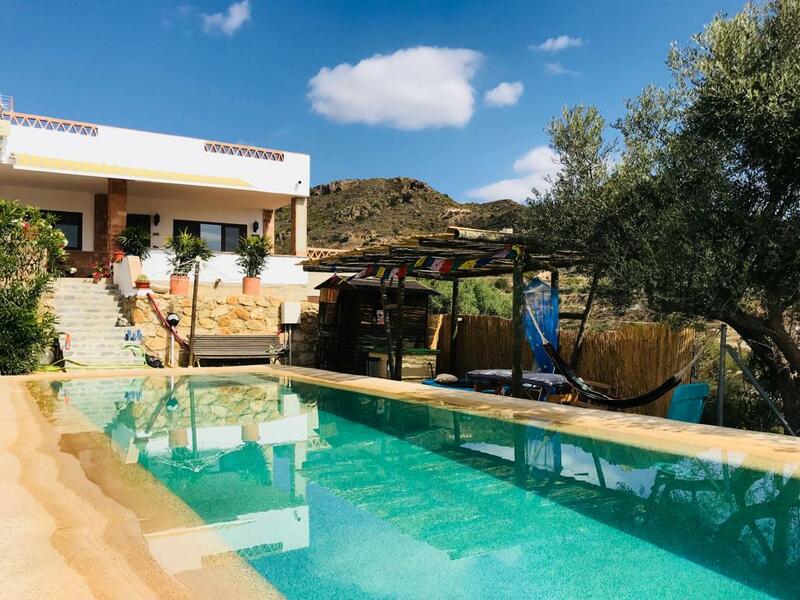 She seamlessly (well, it felt that way to me) managed a change of tenant, and also was a key contact point for me during the somewhat protracted sale of the villa earlier this year. Ana takes pride in putting her clients interests first and works hard to keep developments private and confidential... Ex-pat rumour mills can turn up some amazing untruths at times. I wish Ana well with her new website/venture. Wij zijn een nederlands stel,en hebben kennis gemaakt met Ana van RMB Spain, tijdens onze zoektocht naar een geschikt huis. Bij deze willen we haar graag bedanken voor haar eerlijkheid, betrouwbaarheid, vriendelijkheid en haar onvermoeide inzet om iets geschikts te vinden. Stuur je haar een e mail, ze zal altijd reageren, al is het s'avonds laat. Ze komt haar afspraken na en komt er iets tussen, ze laat het weten. Dus bij deze raden wij haar bij iedereen aan!!! Heel veel succes en nogmaals duizend maal dank voor je fantastische werk. Groetjes. Verhuizen naar een nieuw land is spannend, enerverend maar roept ook een heleboel vragen op en creëert een hoop onzekerheden door onwetendheid en gebrek aan kennis over juridische zaken. Speciaal als je een huis wilt kopen of huren heb je een makelaar nodig die je vertrouwen kunt, die je wensen begrijpt en aanvoelt, zich inleeft in je situatie en die kennis heeft van de wettelijke en juridische aangelegenheden. Wij hebben door de jaren heen dat we in Spanje wonen met verschillende makelaars zaken gedaan en met wisselend succes. Tot we dit jaar in contact kwamen met Ana van de makelaardij RMB Spain in Mojacar. Nog nooit hebben we een makelaar ontmoet die zoveel hart voor de zaak heeft. Haar kennis van zaken, toewijding, vriendelijkheid en vooral het vertrouwen dat ze uitstraalde was voor ons een nieuwe en zeer aangename ervaring. Ze was altijd bereid onze vragen te beantwoorden, zaken voor ons uit te zoeken en te onderhandelen. Zelfs buiten kantooruren! Probeer dit soort kennis van zaken, vriendelijkheid en hulpvaardigheid maar eens ergens anders te vinden. Wij zijn niet het soort mensen die dit soort recensies vaak schrijven op websites maar voor Ana van makelaardij RMB Spain maken we graag een uitzondering. Deze makelaardij is het dubbel en dwars waard. Moving to a new country is exciting, enervating but also raises many questions and creates a lot of uncertainties due to lack of knowledge. Especially in finding a house to buy or to rent you need an agency who gives you a sense of confidence, can empathize with your wishes, and have the knowledge to help you through the legal difficulties. We have dealt with a lot of different Real Estate agents over the years with varying success. Till we got in contact with Ana from RMB Spain. We have never experienced so much effort, business knowledge, unselfishness and alacrity. But most important of all was the confidences we felt with this agency. Always willing to answer our questions, deal with our difficult requirements even outside working hours. Try to find this kind of service combined with business knowledge and friendliness any where else. We are not the kind of people who write these kind of reviews on websites but for Ana from RMB Spain we happily make an exception because this agency is worth every penny. Thats really useful to know Ana. You made a huge impression on us because you were so nice we will be clients in some fashion I promise. We have used Ana as our interpreter for doctors and hospital appointments for the last two years and have found her interpreting skills to be excellent. She speaks fluent Spanish and English and is reliable and caring. Ana is professional and approachable and we would have no hesitation in recommending her interpreting services. I have used RMB Spain over the years to find people to rent my property and have found them to be a wonderful company to work with. Ana Mª Marín Buchanan, went the extra mile (and then some!) to ensure my property was rented. Nothing was too much trouble and she was efficient and punctual. I was away a lot of the time but I knew I could safely leave the viewing of the house in her most capable and trustworthy hands. There was never a shortage of people to view and I highly recommend Ana and RMB Spain. Thank you also for your efficiency and thoughtfulness, you are by far the best rental Agent I have been in touch with. With kind regards. 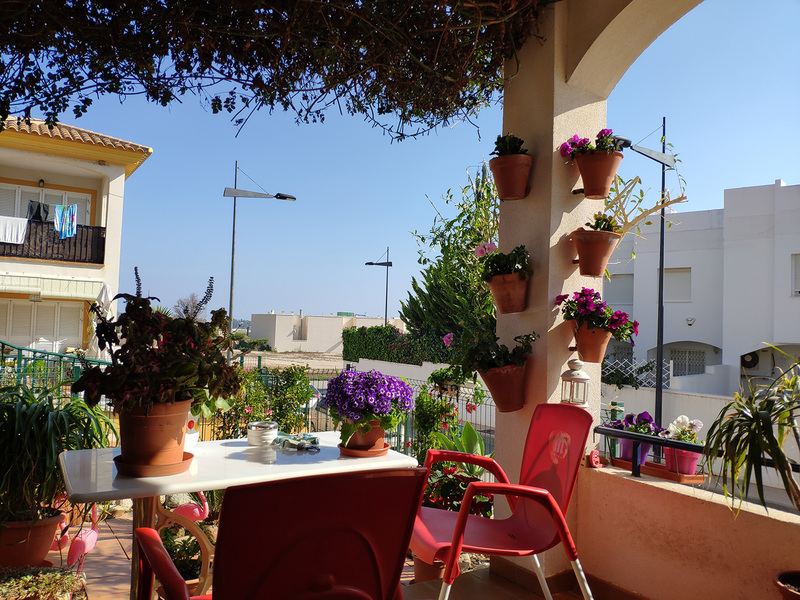 We met Ana during our search for long term rental property in the Mojacar area early in 2015. She responded to our enquiry through the website and subsequent emails and phone calls extremely promptly which was very helpful as we were always on short trips over from the UK. We really enjoyed meeting Ana and found her to be very helpful and patient. She gave us opportunities to look at and experience properties in an unhurried way which enabled us to make some well thought through decisions. This way of allowing us time and space to view properties thoroughly, also enabled us to understand what exactly our must-haves were and what we would be prepared to put up with, as it is rare for any rental property to be perfect in every way. 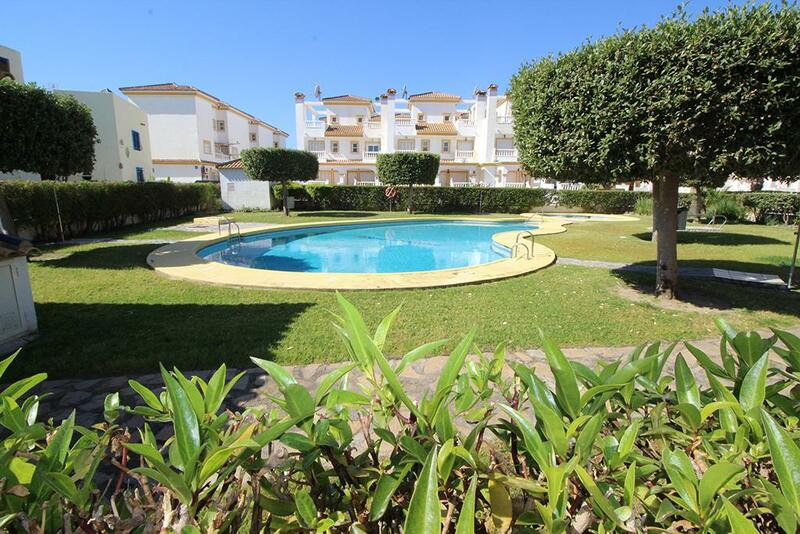 I confidently recommend Ana to help you in your search for a home in Almeria. Did we make you happy? We'd like to hear about your experience with RMB Spain to share with other potential clients. We work very hard to consistently give you the best service, your valued feedback keeps us motivated in learning and always improving. Thank you. Ana is a rare example of an estate agent - compassionate and caring, resourceful, honest and tireless. She always has her clients best interests at heart and works hard to turn clients hopes and expectations into reality. She knows the area really well and you would be seriously hard pressed to find a better agent to market your property. 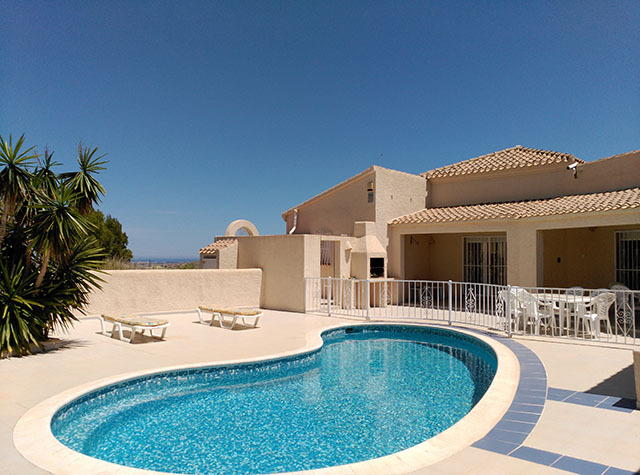 Thank you so much for spending the time showing us the two villas, we are really impressed with all the help you have given us, a welcome change from some other Estate Agents in Spain. Very nice to hear from you. Loving our house and landlord! We feel very privileged, with our house and garden all on the flat (bar the odd single step), our lovely pool, just going out of season now, and our stunning views. We are so pleased and grateful that you found us our perfect home. Thank you Ana for all the help and guidance you gave us in the sale of our house. We were delighted with the video presentation you had on your website which showed the house and its surroundings to its best potential. The sale was quick, easy and trouble free and your cooperation with our Gestoria was first rate. Altogether a quick and pleasant experience which we would recommend to anyone. Thanks again. 10/11/2015 Albardinar, Eduardo Fajardo, Mojacar Playa. I found Ana’s Rental Guide for Tenants for Long Term after I’ve read a contract from my prospective landlord. There were few things that didn’t make sense to me. I was searching through the internet, but there was only some general and same info here and there, not helpful to me. Then I found Ana’s guide where it was written in every detail necessary. Ana’s guide has clarified it for me in a most professional manner, and I was right to question some entries in that contract. I wrote to Ana and asked her to go through the contract, which she has agreed to do immediately, telling me that she would be happy to help me if she can and would let me know beforehand after reading the contract. Then I’ve decided to go with another property and she has agreed to read that contract too! I called her and she gave me very important advices about what should be added to that contract to protect me as a tenant. For free, can you imagen that! Being new in Spain I needed somebody on my side, and I found Ana. My biggest regret that she is not my agent because I am in another area. But her site’s guide and her personal consultation have made all the difference and saved me from costly mistakes. I call her site a lifevest in this new waters for me :) Thank you, Ana, and I hope I can use your services in a future! We met Ana when she showed us a property in Mojacar. As the Vendor's estate agent we expected she would only be interested in their needs. How wrong we were. Ana has an honesty and fairness which comes naturally to her. This honesty and genuine interest in our needs made us feel very comfortable and trusting of her. She didn't let us down. In fact we were so happy we have engaged her to help get the property upgraded. Can't recommend her highly enough. Thanks. I would like to thank Ana of Realtors for her efficiency and prompt attention to detail. Dealing with her has taken all the strain out of business knowing you are in good hands every step of the way and with a person you can talk to and does what she says. My sincere thanks. Dear Ana, Thanks for your hard work selling Casa Buda. One just could not wish for better person for your kindness and professional standing. 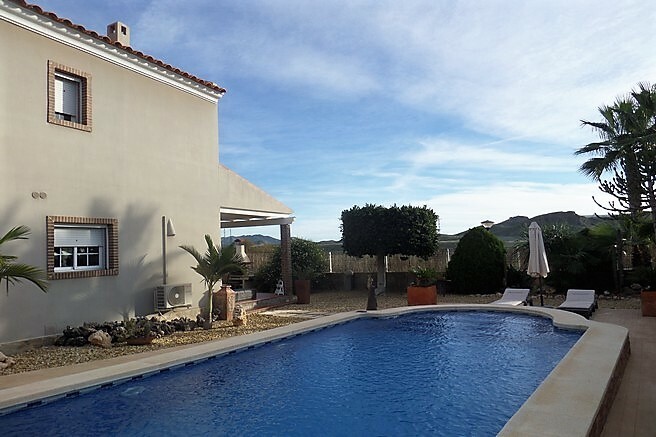 If anybody is asking advise for buying or renting in Almeria I will recommend RMBPAIN, naming you personally to contact. Thanks again. 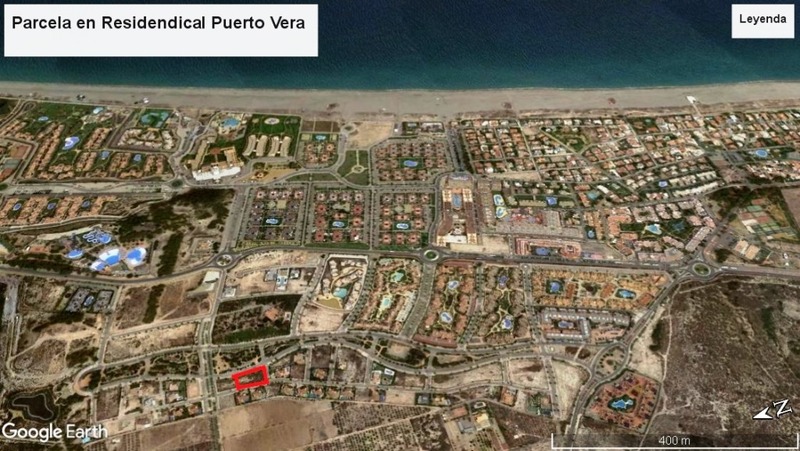 We were really lucky when we found Ana and Jesus to help us find our perfect property in the Vera/Garrucha/Mojacar area of Almeria. We knew exactly what we were looking for and also, exactly what we were not looking for as we had been doing our own backround work and watching every Place In The Sun episode for many years! Ana met us as arranged and took us round some properties, all the time trying to source further properties to look at. Ana and Jesus are both very friendly and weren't your typical pushy estate agents, they just wanted to find the perfect place for us. We were only there for three nights, looking around properties for two days, including handing over power of attorney to a recommended local solicitor. Not long I know, but she pulled it out of the hat for us and it was more than perfect! Neal and I thank you from the bottom of our hearts and cannot wait to get back to stay in our beautiful apartment, which is now all complete. Ana worked her socks off for us. She has the patience of a saint, persevering til she found us our dream. I can highly recommend Ana for your house hunt, she has the knowledge of the area and properties for sale. Ana soon gets to know what you want. In my opinion Ana outshines other Estate Agents in the area. 10/10. Compraventas y Alquileres en Almería, especialistas en mediación y representación profesional, ofreciendo un asesoramiento experto. Nos especializamos en la comercialización de su propiedad para obtener la mejor divulgaciòn, asesoramiento basado en consejos honestos y las valoraciones realistas, para que usted no tenga que preocuparse. 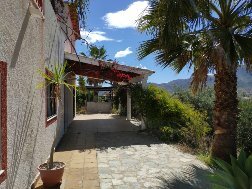 Eche un vistazo a nuestra selección de propiedades en venta y alquiler, meta en su lista de deseos las propiedades que sean de su interés, nuestra herramientas son simple y eficientes, esperamos que encuentre lo que busca. Ana Marín Buchanan del RMB Spain, el agente inmobiliario que es más que un agente. RMB Spain conserva la buena voluntad y el espíritu con el que se fundó Realtors Servicios Inmobiliarios, S.L., est.1979 y que disfrutaron de años en el negocio inmobiliario para ayudar a los vendedores y los compradores en el proceso de la compra y venta de propiedades en los alrededores de la región de Mojácar, Almería, España. Con un equipo independiente de apoyo siempre a mano, Ana gestiona las ventas, alquileres, servicios de inmuebles y de mediación. Da orientación y representación imparcial con muchos años de experiencia junto con un gran conocimiento y pasión por esta zona. Whether you're buying or selling, our recommended lawyers will ensure you're legally protected. 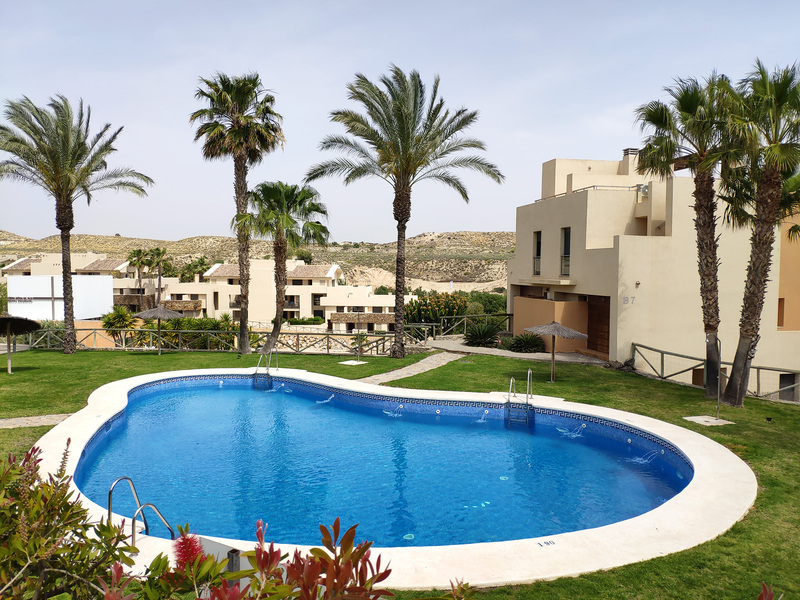 Understandably the Spanish legal processes involved with buying or selling property may seem a little daunting and you may have heard horror stories where not everything has been done correctly, only to discover problems later. We can offer you a selection of lawyers from local to different areas for you to choose and feel most comfortable with. They can then take care of all the legal aspects of your property transaction and help your sale or purchase proceed as quickly and smoothly as possible. Know exactly what you’re buying before you commit - use our recommended surveyors to ensure there are no surprises. Employing the services of professional chartered surveyors can help you uncover any potential structural faults before you buy, with an on-site visit by an Architect for 70€ (+IVA) or full technical report at 450€ (+IVA). Homebuyers Surveys (pre-buy), with repair advise, Building Surveys (full technical reports) and Valuation Reports for a basic financial valuation of a property that can be used by mortgage lenders/most common local banks. Also offering property surveys/valuations for Divorce & Separation valuations and Valuations for tax purposes.